Imagine a cute character of yourself. It would be cuter than your imagination. 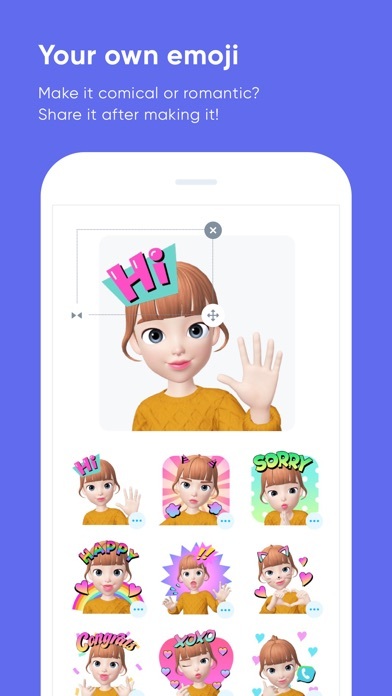 Make the emojis of your character and use it in chatrooms. Take a picture of you or bring one from your Gallery. 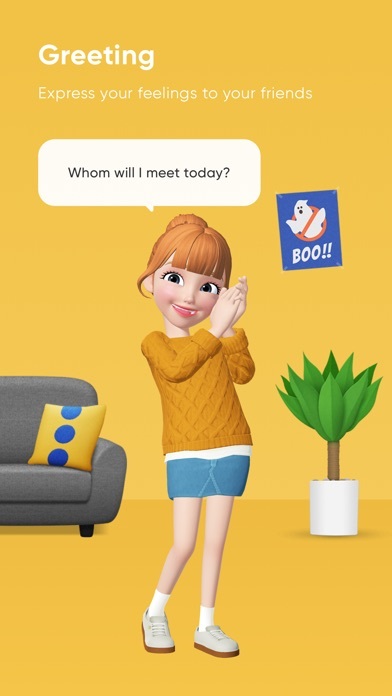 Then ZEPETO will be the one to make a character of you, cuter than your favorite animation character. You can edit your character's face or dress it up with different costumes so that you can express it in your own way. If you ask if you can only make emojis from it, you've got it wrong. Watch out for our next update. Can’t see all of my screen? I have an IPhone obviously and have downloaded this game for how fun it looked. When I made my character, I was so exited to dress it and make it have my style. HOWEVER!!! I can only buy shirts. It doesn’t give me an option to change my pants, shoes, makeup or accessories. 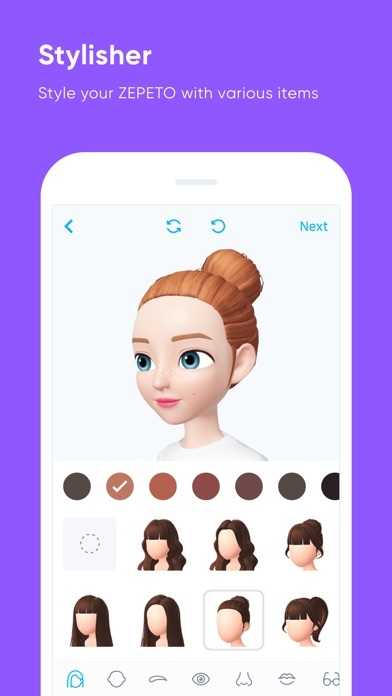 I know you can have these features because my friends on Zepeto have clothing other than a shirt. It also appears to be that my screen isn’t all the way there. It looks like it’s has cut off the bottom part of the screen and I’m unable to use that section. What can I do? This thing about people saying that you hear breathing a an absolute LIE!! !Ive played around with the app for 1 min and went to my home screen and didn’t hear breathing so ya. This hacker thing isn’t real but when other Zepetos walk they stand and look at you for two seconds that’s kinda creepy don’t you think? 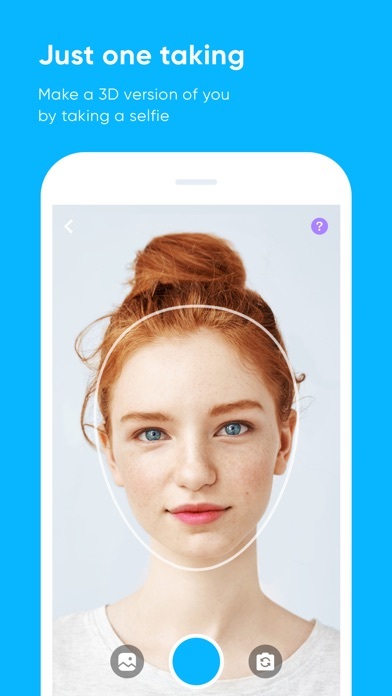 I really enjoyed this app when it worked for me! 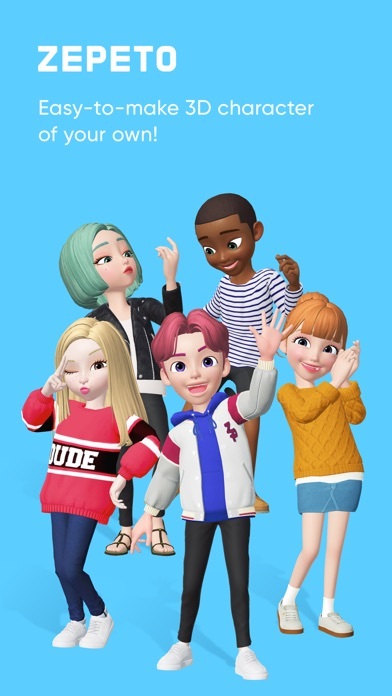 Making my character, sharing with friends and all the BTS/BT21 stuff had me l I v i n g. However, I got a new phone awhile ago (the iPhone XR) and for the longest time the app refused to load correctly on my screen, making it impossible to access any of the clothing, pictures, etc. I was extremely bummed with this- as I was no longer able to enjoy the fun-factor of this app... please fix!!! The scratch offs are total rip offs. Most of the time you end up losing a crap ton of money and I don’t think that’s fair at all. I think it’s really unfair to trick your users into thinking they’ll get in game currency when the chances of winning are very low. I propose adding a mini game system instead as people clearly don’t like this current way of gaining coins. Other than that it’s a cool game but I just think you should try and be a bit more fair. I like this game but there is a problem. Every time I enter a room in ZEPETO world it glitches out of the game. I never get to play world because it always glitches out. I hope you can fix this!